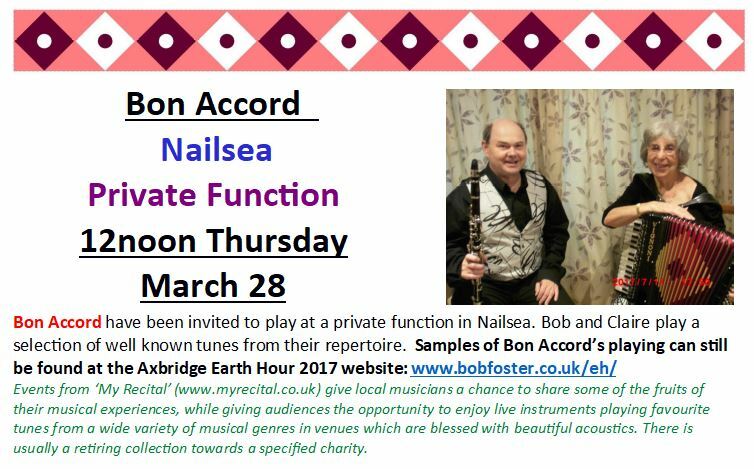 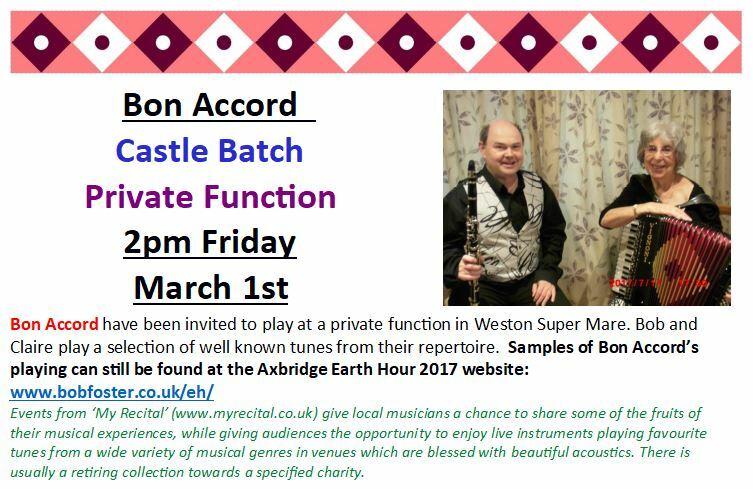 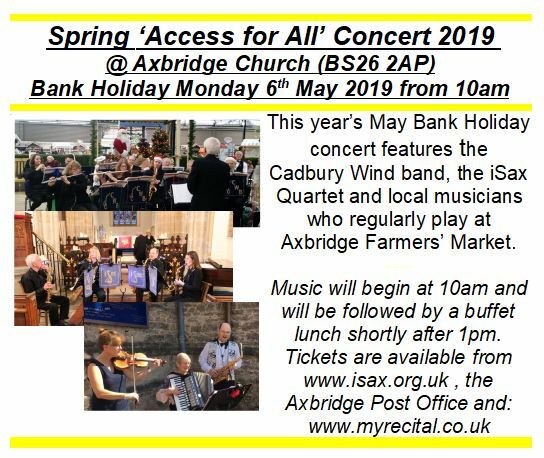 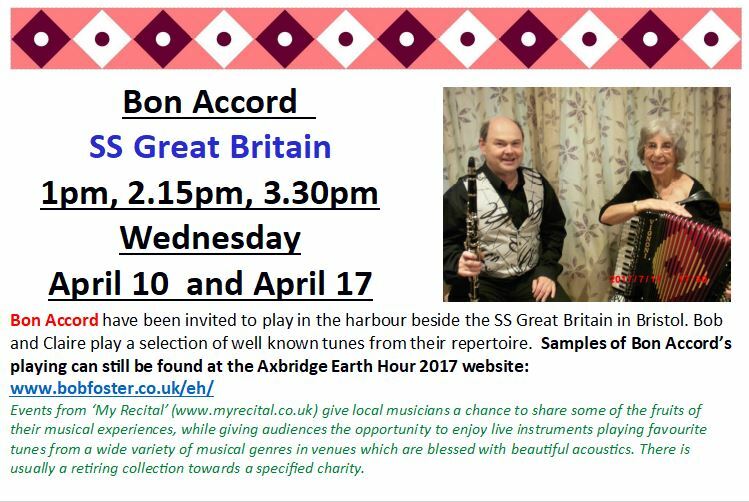 17 April 2019 - Tickets for the 6 May 'Access for All' Spring concert are now on sale at Axbridge Post Office. 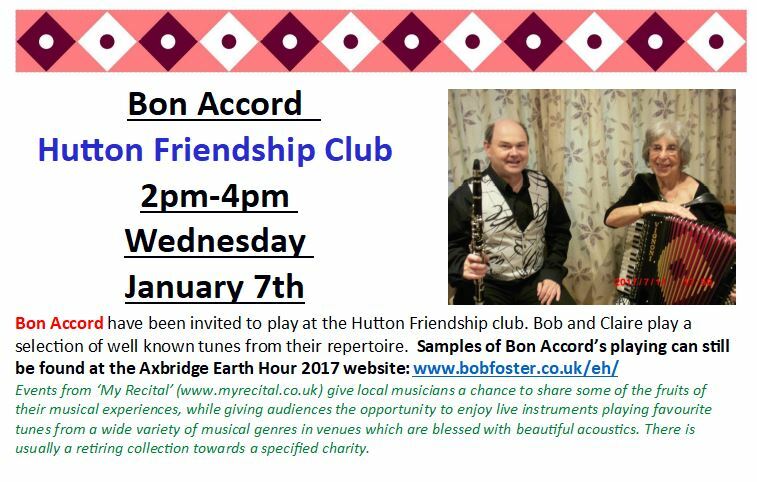 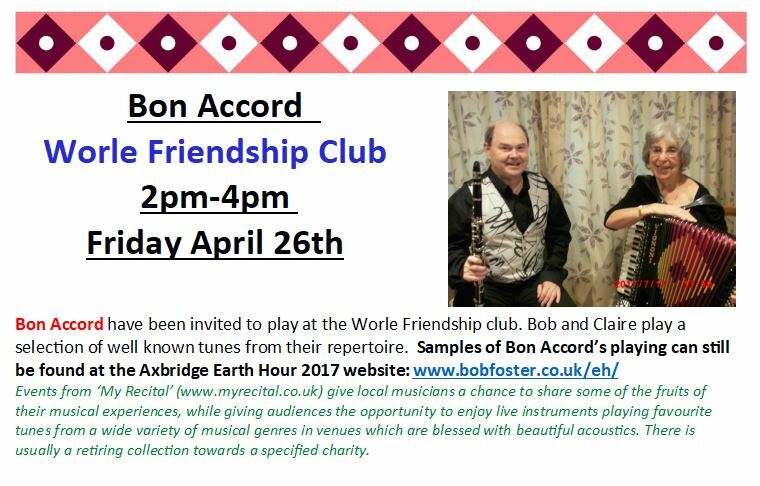 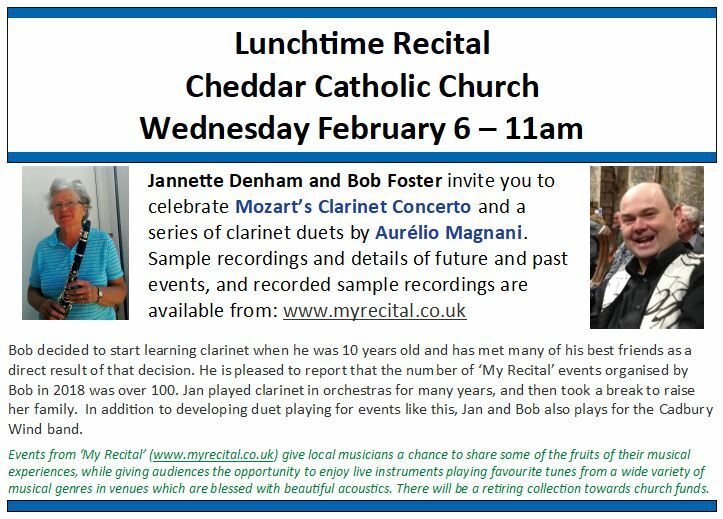 You can have music and a buffet lunch for £5 ! 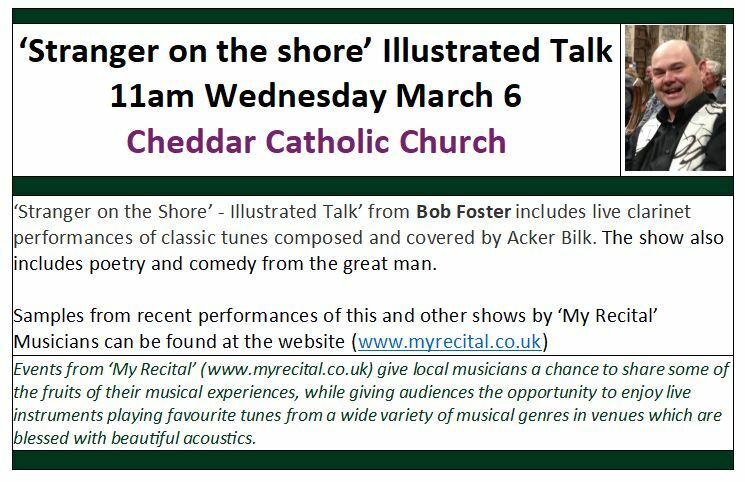 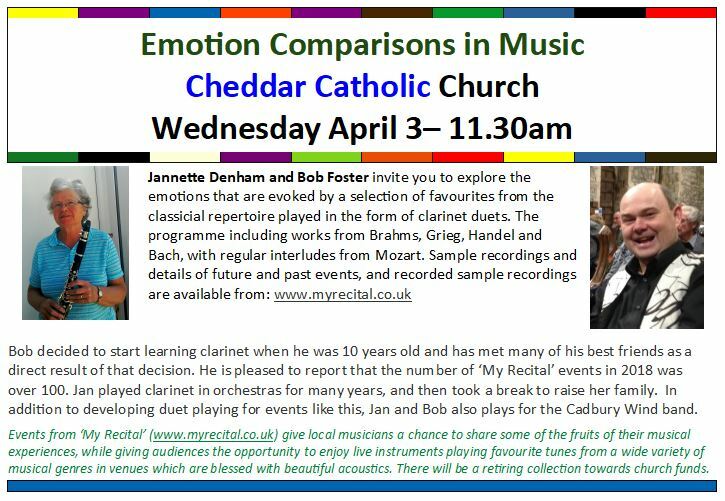 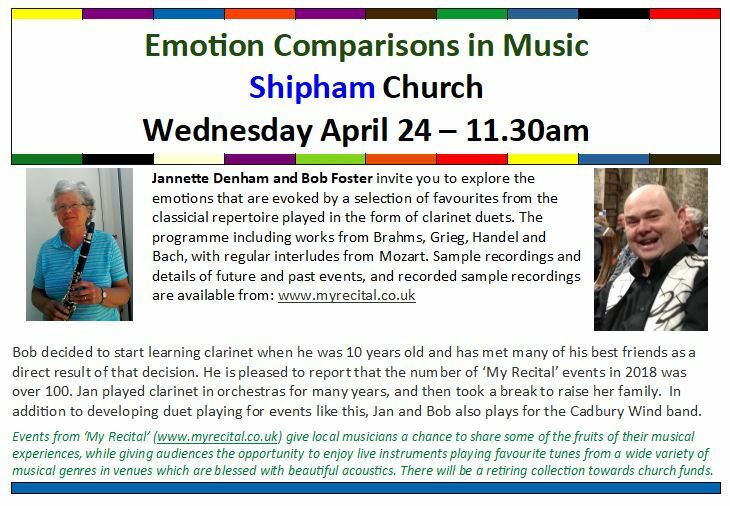 3 April 2019 - Thank you to all those who came to the Cheddar Catholic church today to the launch of our 'Emotion Comparisons through Music' series of concerts. 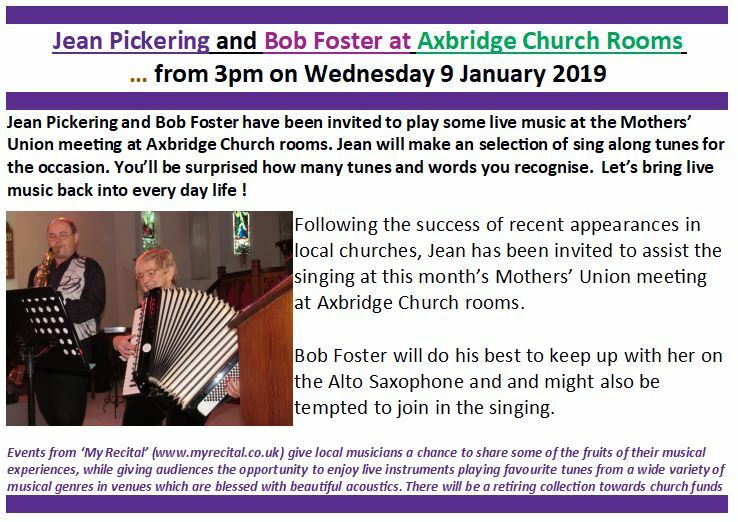 Click here to view (and download) the programme. 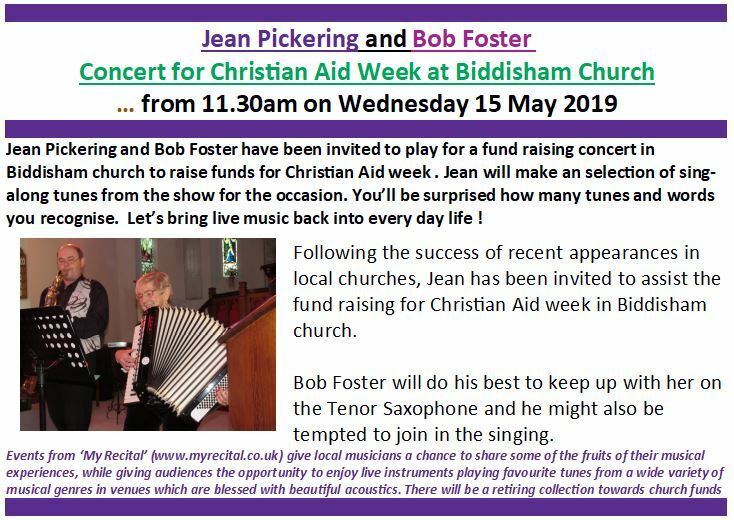 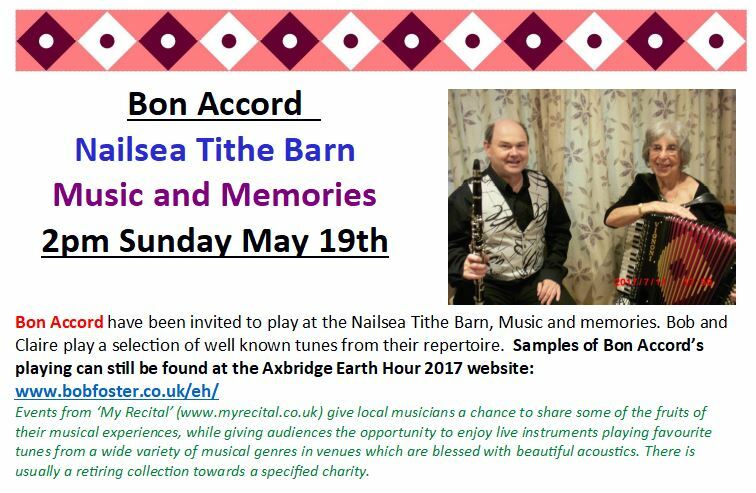 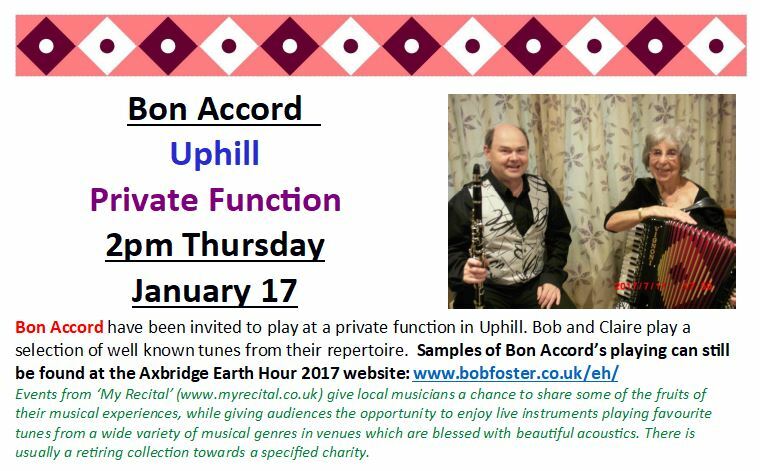 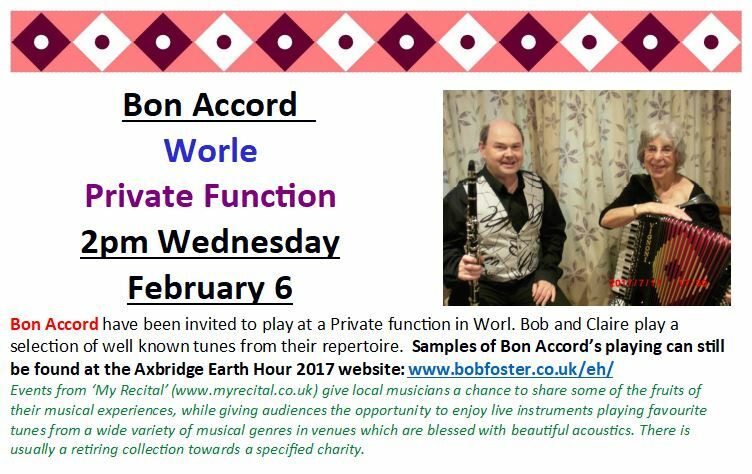 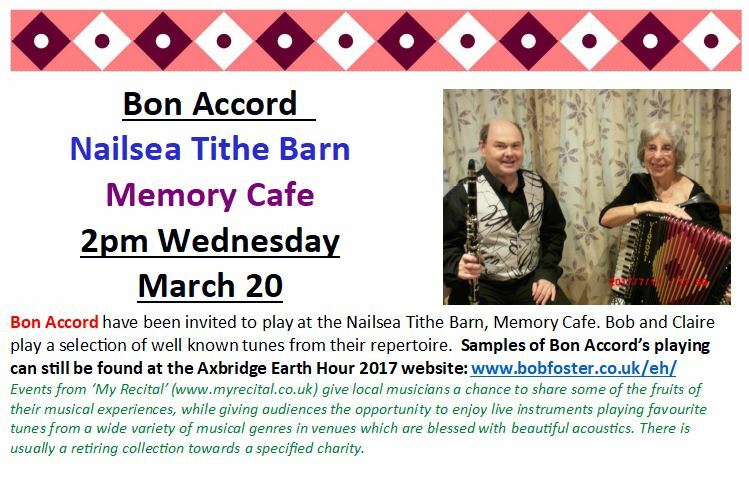 Sufficient money has now been raised by these recitals at the Cheddar Catholic church to fund a new well in the African village of one of the regular attendees, so well done to everyone! 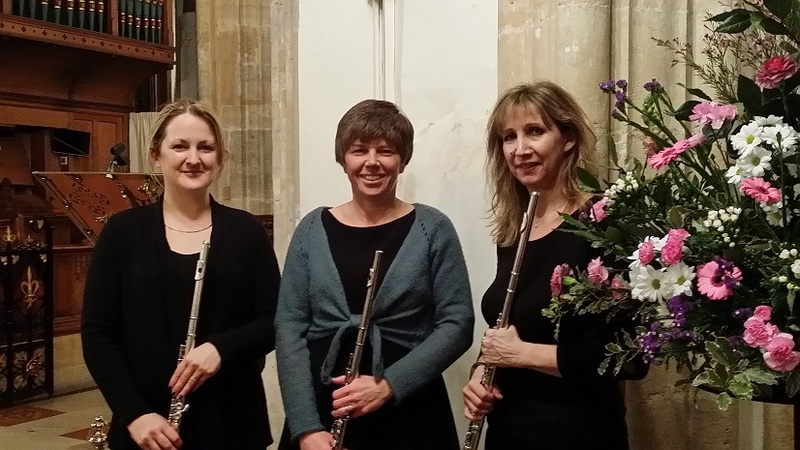 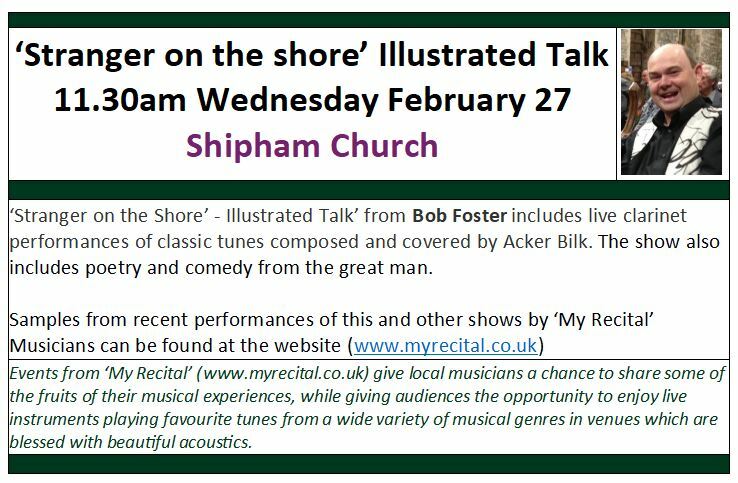 27 February 2019 - Thank you to everyone who came to the lastest Shipham church lunchtime recital. 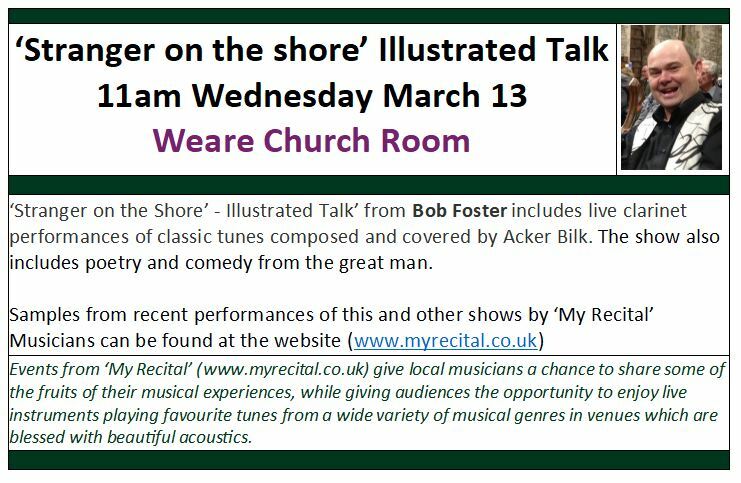 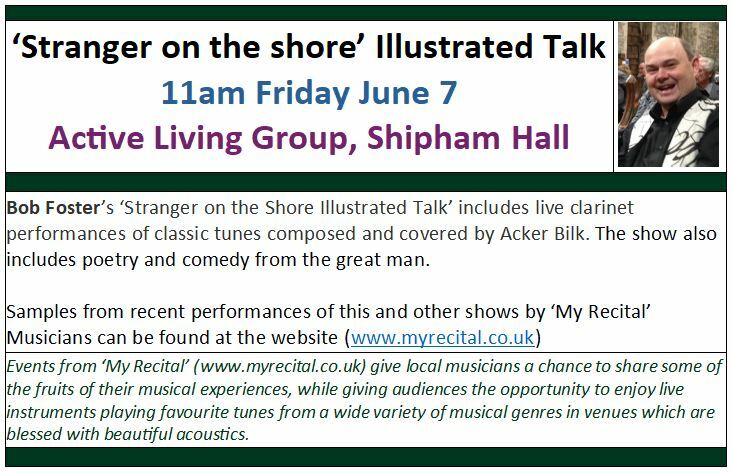 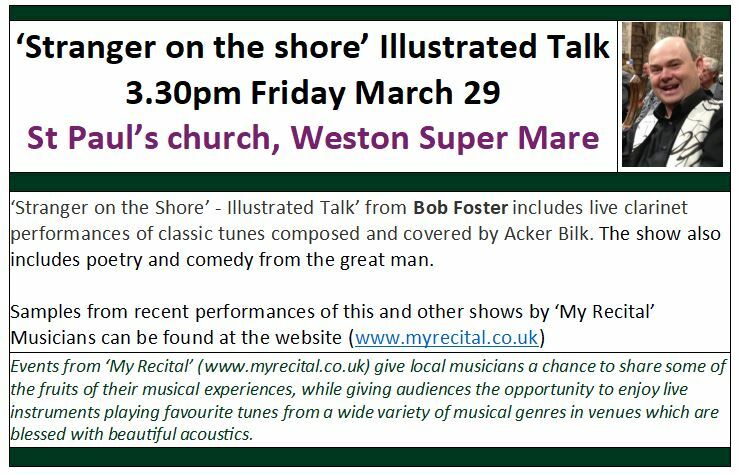 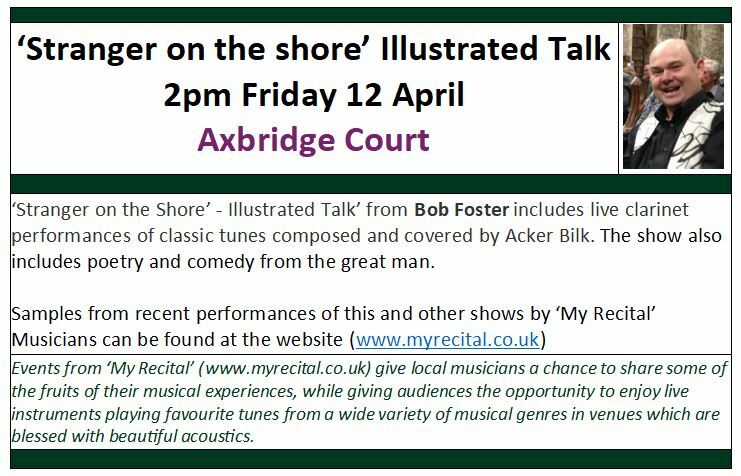 This month we had an audience of over 20 enjoy 'Stranger on the Shore - An illustrated Talk'. 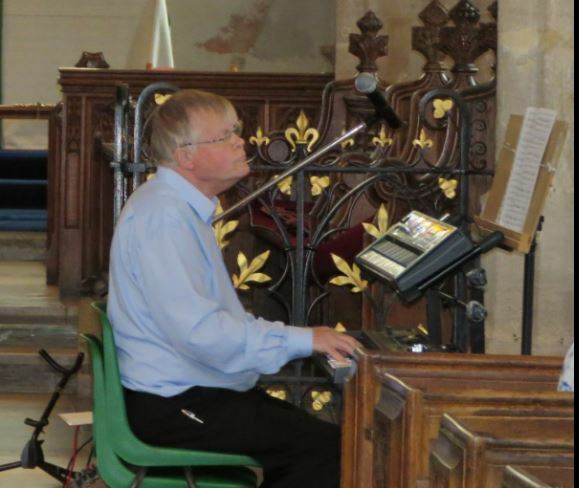 A significant sum was raised for church funds in the retiring collection for which the church has expressed grateful thanks. 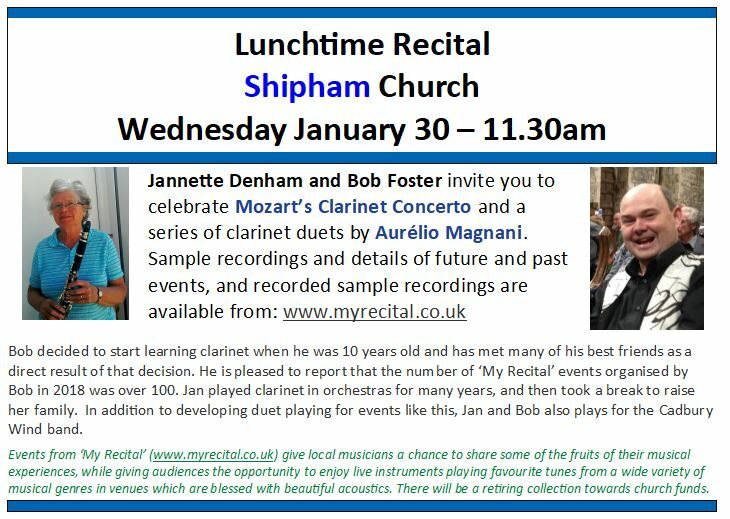 30 January 2019 - Thank you to everyone who came to Wednesday's re-launch of our 'Mozart and Magnani' recital programme. 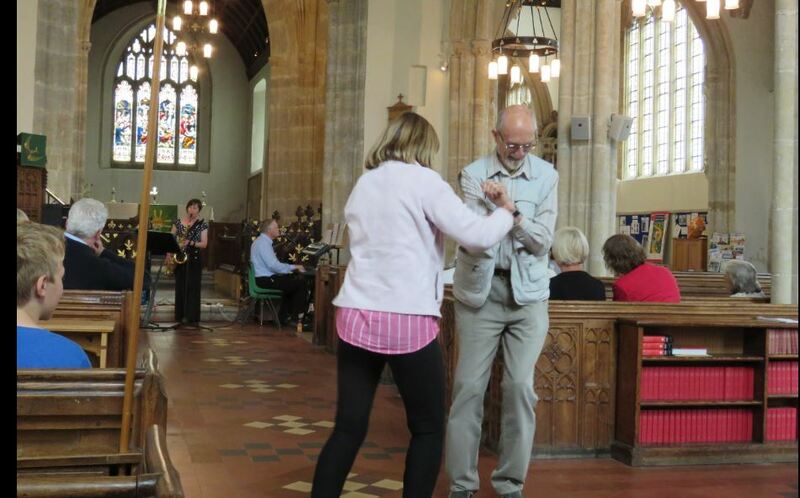 A significant sum was raised for church funds in the retiring collection for which the church has expressed grateful thanks. 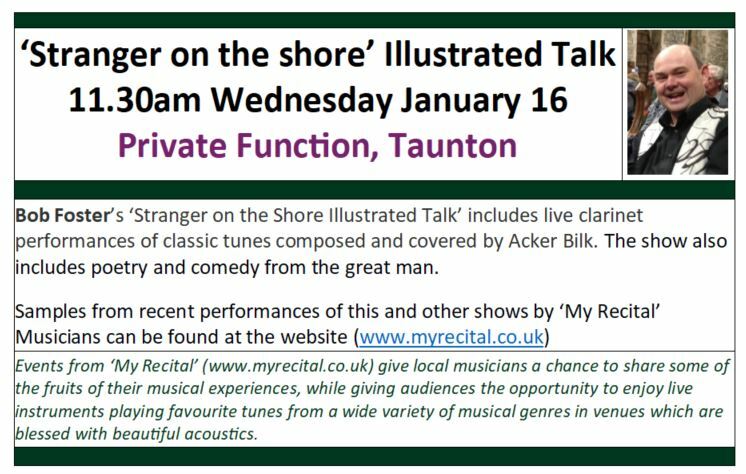 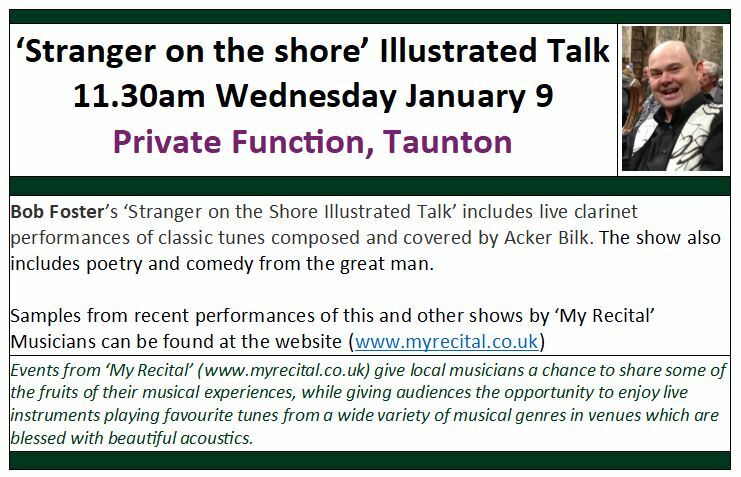 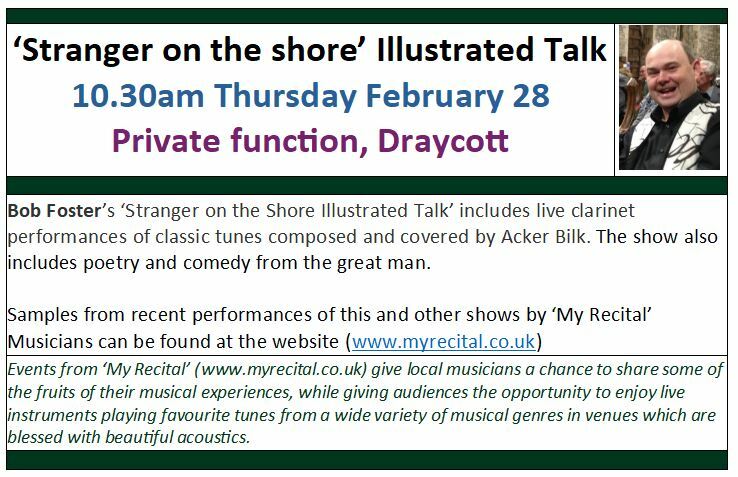 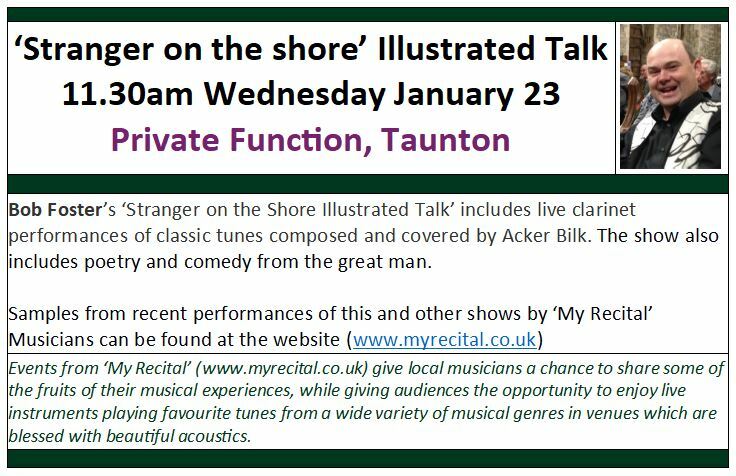 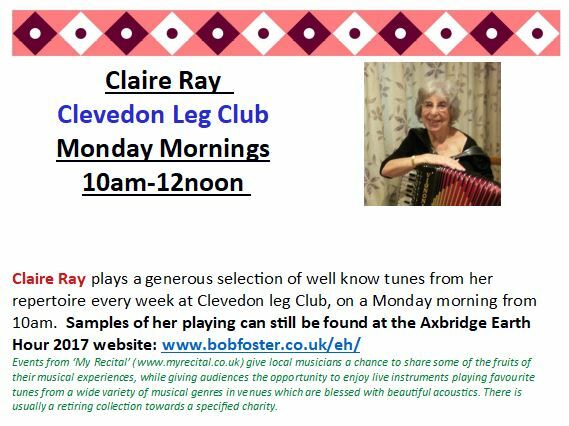 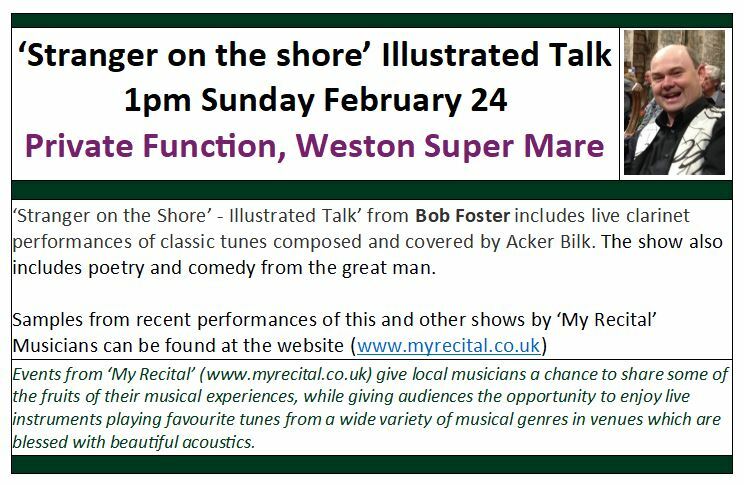 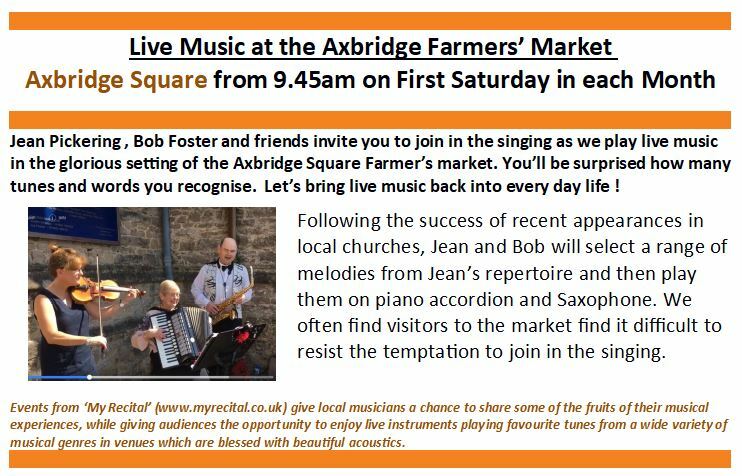 'My Recital' is a group of musicians who enjoy playing live music in venues which have welcoming accoustics for our instruments. 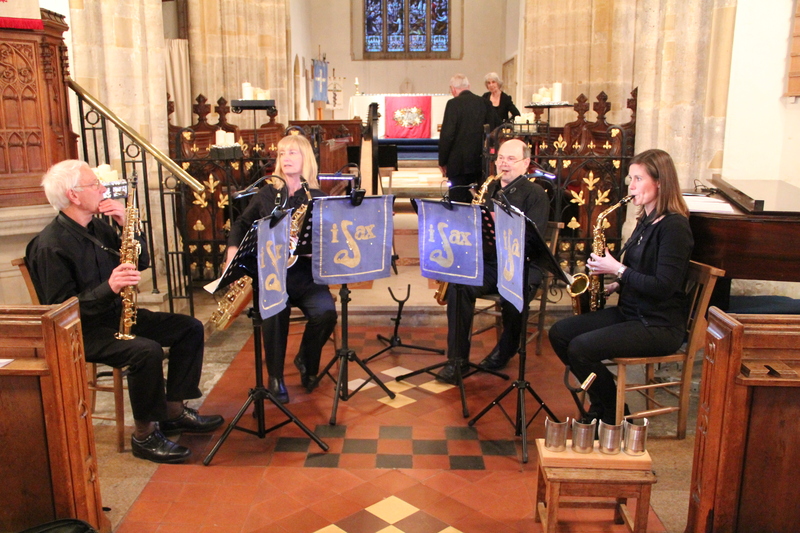 'My Recital' musicians have a wealth of performance experience and particularly enjoy playing in venues that are accoustically friendly to our instruments. 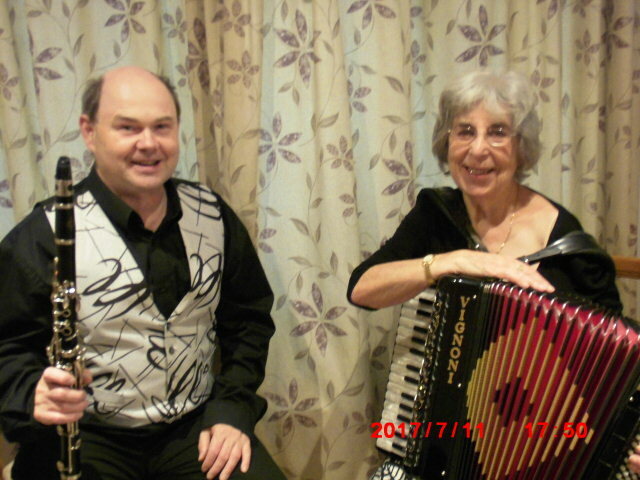 We play a variety of music in a wide range of styles. 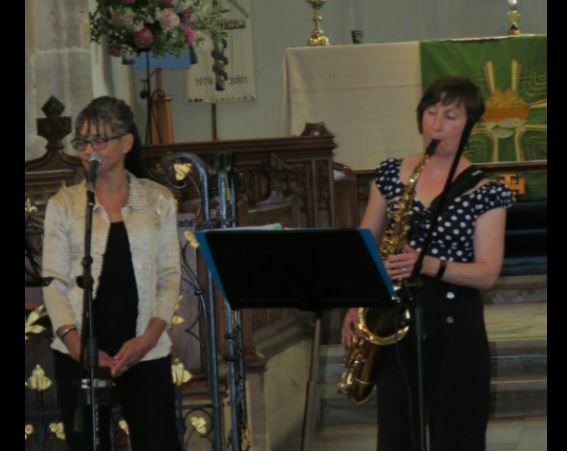 The programme for a particular concert is chosen to suit the unique combination of available instruments, the accoustic character of the venue and the likely tastes of the intended audience.